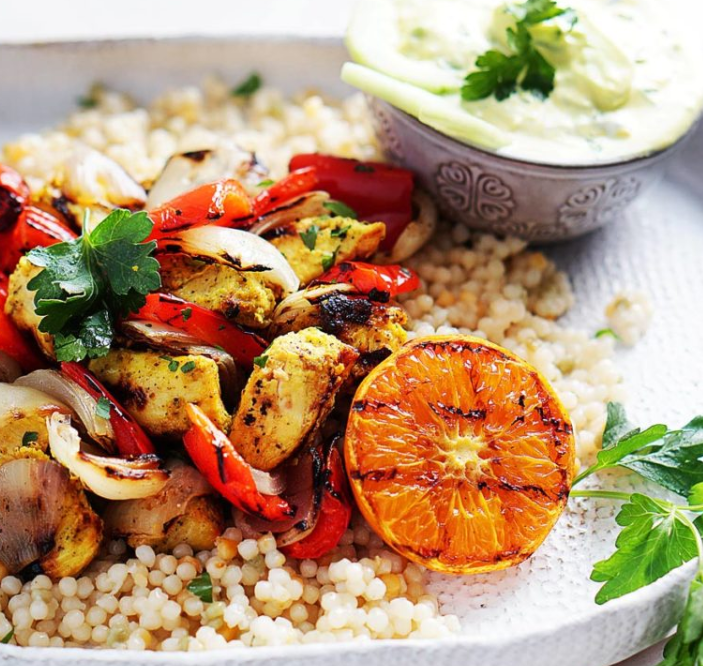 Enjoy these Citrus Moroccan Chicken Kebabs with Yogurt-Clementine Sauce year round! The marinade is full of flavors that even the most picky eaters will love! This Moroccan Chicken recipe is truly delicious and my husband loves it. Speaking of “selective” eaters, he’s not a fan of curries but somehow he loved this dish. 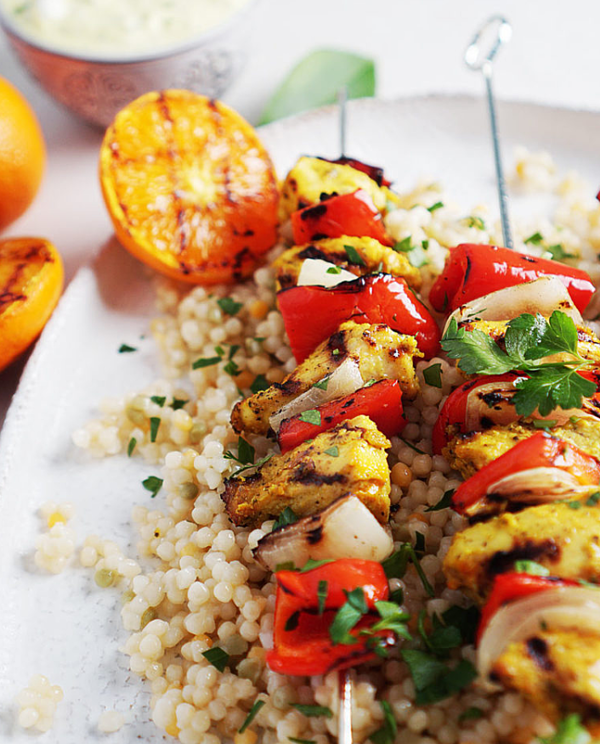 So if you’re not into curries, you should still give these Citrus Moroccan Chicken Kebabs a try! 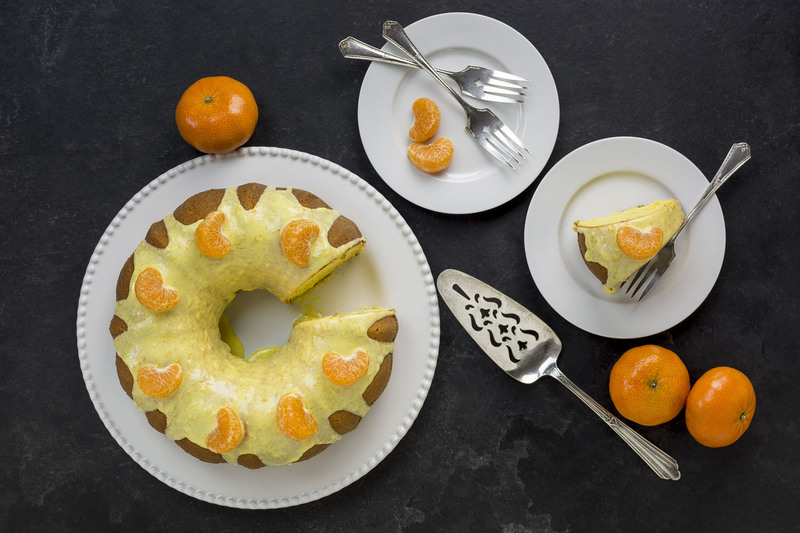 For this citrusy recipe I used clementines versus the traditional lemon flavors. 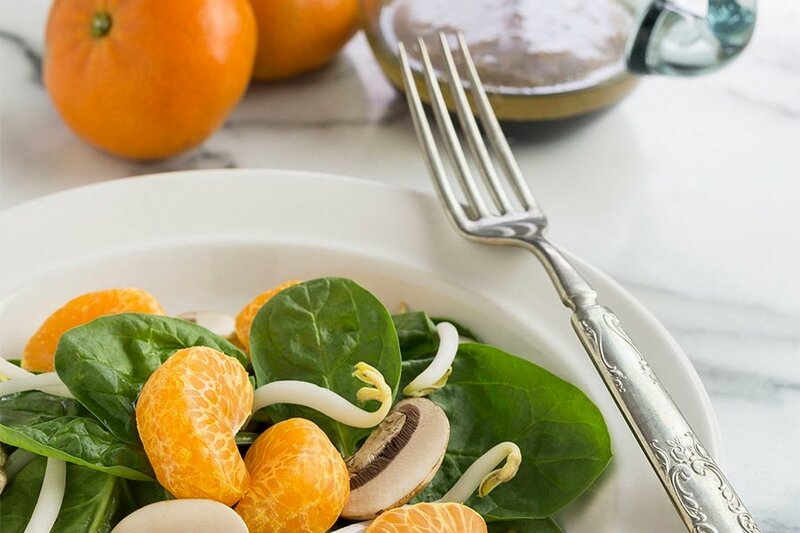 Using clementines provides a great and delicious twist to this dish! 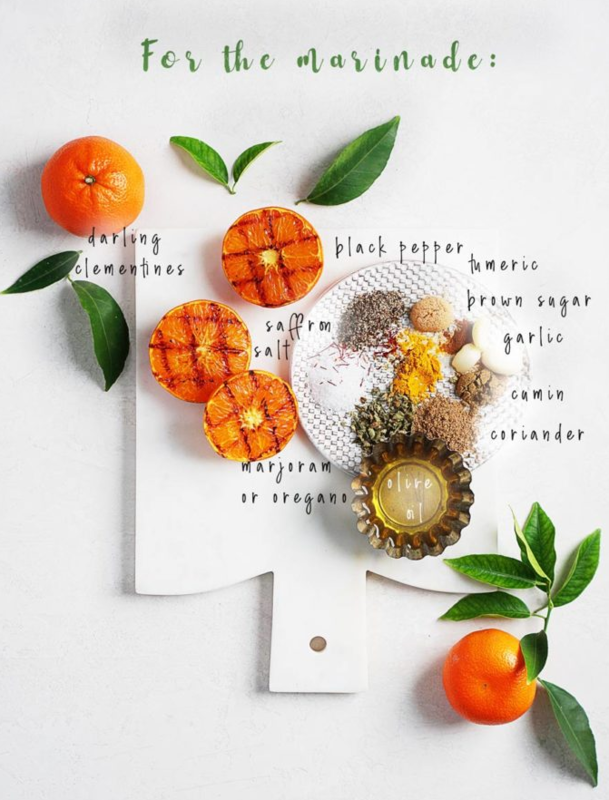 WHY USE CLEMENTINES FOR THIS CITRUS MOROCCAN CHICKEN RECIPE? 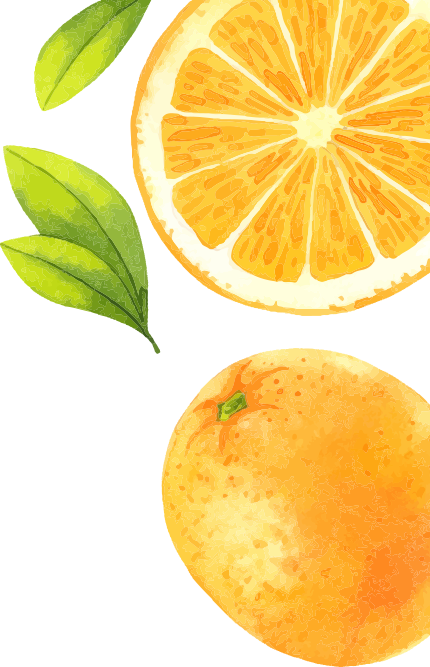 I’m so lucky to live in sunny Arizona where there’s some kind of citrus available almost year-round; however, I understand that not everyone is as lucky as I am! 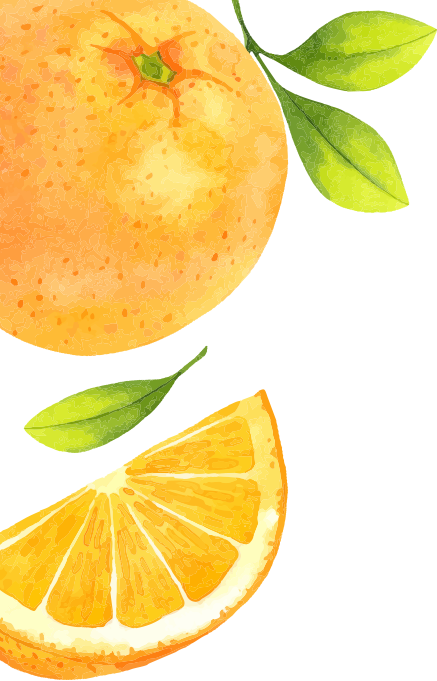 This is why I partnered up with Darling Clementines® to introduce you to this wonderful fruit that you can use year-round. For over 28 years, Darling Clementines® have been imported from 5 different countries with the most fertile conditions and provides the U.S. with year-round, high quality clementines. The fruit peels very easily and they’re known for their bright color and rich, sweet flavor. 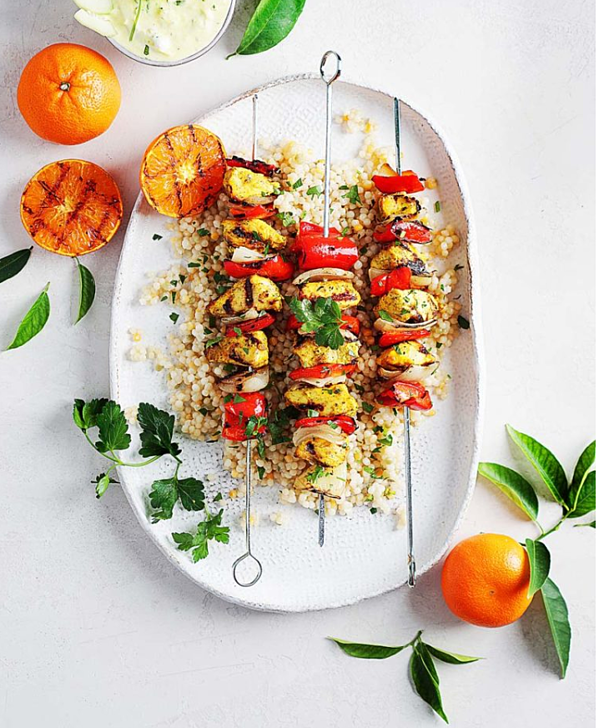 The marinade for these Moroccan Chicken Kebabs is all about the citrus flavor and those aromatic spices. The clementines are first grilled in order to make them extra juicy and to soften up the peel. Just place the warm clementines’ peel & juice, spices, garlic & olive oil in a blender or food processor, and puree until the you reach a coarse but soft paste. For more information on this recipe from Ana, visit Muy Delish!